The president has previously explained that to him, nationalism means he loves the country and is fighting for America first. “I believe that what he was saying to your colleague Yamiche is that the implication of racism in the word ‘nationalist’ is very unfortunate, because there’s a difference between nationalism and white nationalism,” she told “PBS NewsHour” anchor Judy Woodruff. Kellyanne went on to suggest how unfortunate it was that she asked President Trump the question. “I resent tremendously always being put into this toxic stew of racism and sexism and misogynism and xenophobia. 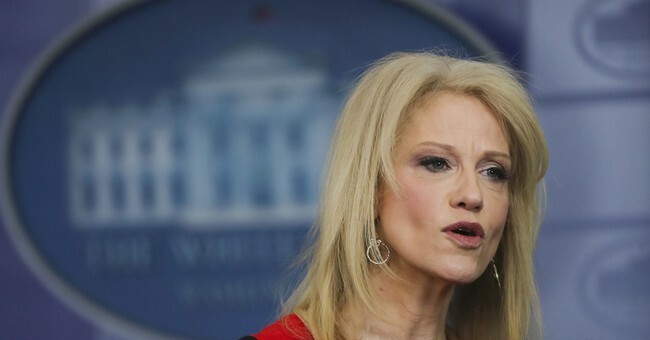 It’s a lot on our shoulders, because it’s not fair,” Conway said. While Trump has acknowledged that critics say he shouldn't use the word given its negative connotations, he has dismissed arguments associating it with white nationalism and called for bringing it back into popular lexicon. "It means I love the country, it means I’m fighting for the country," Trump explained to Fox News host Laura Ingraham last month. "I look at two things, globalists and nationalists. I’m somebody that wants to take care of our country, because for many, many years, you know this better than anybody -- our leaders have been more worried about the world than they have about the United States and they leave us in a mess ... no, I’m proud of this country and I call that “nationalism”; I call it being a nationalist and I don’t see any other connotation than that."